Just wanted to take a moment to wish all of our readers a happy and healthy holiday and new year. 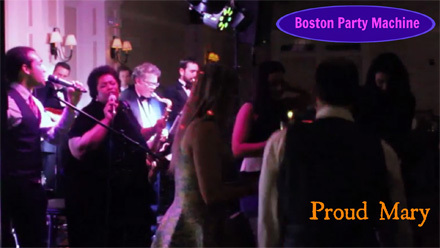 Looking back, 2012 has been a fabulous year for Boston Party Machine, offering us the opportunity to really come together as a band. We are grateful to have worked with so many wonderful clients, event planners, and other talented vendors. The above video of Lorenzee singing lead vocals on “Proud Mary” is an excellent example of the great vibe our band has – capturing the good energy and respect that exists between everyone in the band, and of course, the tight musicianship. Looking forward to all that 2013 has to offer!! !